Introduction. Very few Neath residents are aware that they have a Fire Museum - The Welsh Museum of Fire - on their doorstep, it is actually in Skewen. On this page Mike Davies tells you something about it. 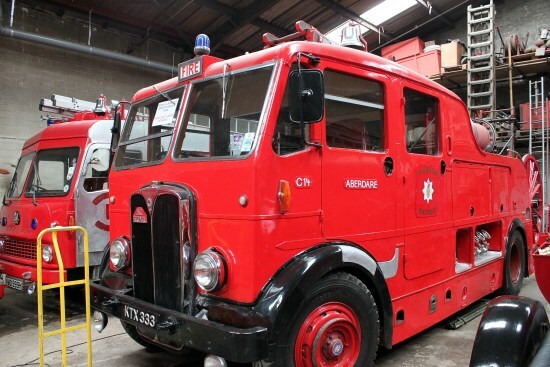 Perhaps it may tempt you into a visit to look at fire appliances of years gone by. The Welsh museum of fire is run by the Welsh Area Fire Engine Restoration Society (WAFERS). They are situated in Lonlas Skewen Neath the Museum is one of the largest of its type in the UK. WAFERS also attend events across Wales to raise funding which is used to maintain the Museum and to restore fire engines to their former glory. Volunteers are always welcome! 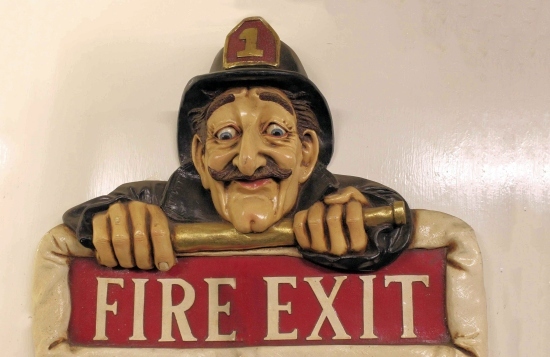 The Museum holds a vast collection of fire fighting memorabilia throughout history and particularly from the Second World War. They also have restored fire engines dating from the 1930s onwards. You can view restoration projects in progress. The Museum is currently located in the Lonlas Village Workshops in Skewen which is close to Neath, Swansea and the M4 motorway. They are open to the public on Wednesdays and Saturdays by prior appointment only. Entrance is free of charge but donations are much appreciated. Group bookings and schools are very welcome. Your tour will be guided by one of their retired firemen volunteers who will be able to tailor the visit to suit your requirements. Unfortunately they do not have wheelchair access at present although they are hoping to move to larger, accessible premises. This venue is well worth visiting. This fire engine was based in Aberdare and was one of the first emergency vehicles to attend the Aberfan disaster on Friday 21 October, 1966. The following slide-show video should give you a preview of what to expect when you visit the museum.